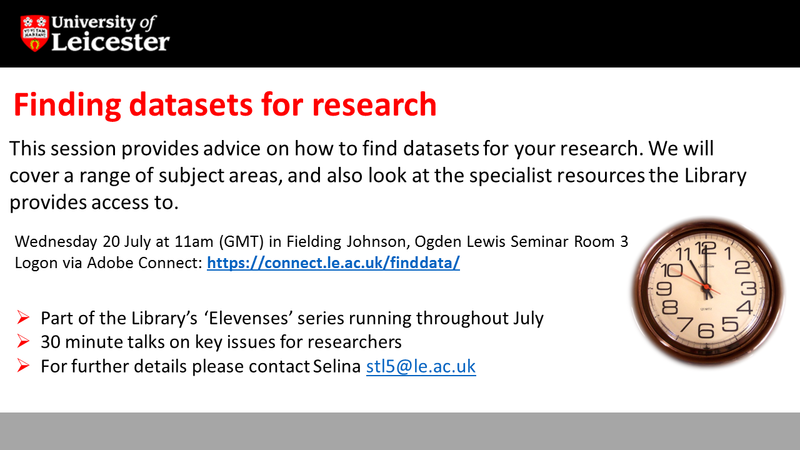 Throughout July we are running a series of 30 minute talks on key issues for Leicester researchers. There’s no need to book - just turn up! 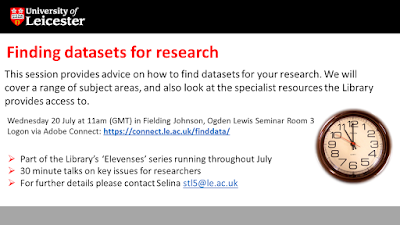 One of the most common enquiries from researchers is “Where can I find data on my topic?” This session provides advice on how to find datasets for your research. We will cover a range of subject areas, and also look at the specialist resources to which the Library provides access. If you are off-campus you can join in live via Adobe Connect. Simply click the link and choose ‘Enter as Guest’ on the day. A recording of each session will be made available after the event.